The Auto Finesse interior cleaning kit includes a 500ml bottle of Total interior cleaner, a 500ml bottle of Spritz interior dressing and an upholstery brush. 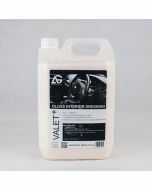 Auto Finesse Total is a ready to use interior all-purpose cleaner which is safe to use on all interior car surfaces. Whether you are cleaning plastic, vinyl rubber, cloth, or carpet, Total’s sophisticated low-foaming surfactants will not disappoint. Auto Finesse Spritz is the perfect interior dressing for those times when you simply want to maintain that factory fresh interior finish of a brand new car. Spritz is an interior quick detailer capable of both lightly cleaning and protecting interior plastics and vinyl all in one step. Its easy-to-use water-based formula is packed with UV-inhibitors to protect against fading and leaves behind a natural matte finish that is dry to the touch. 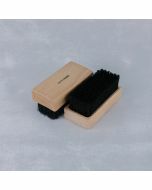 The Auto Finesse Upholstery Brushes are handmade in the UK and are suitable for cleaning all fabric aspects of a vehicle. 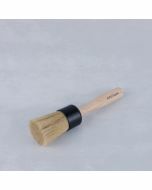 Its 76mm bristles are set in resin, with a soft wood handle and is perfect for agitating both fabric and leather cleaners. They are also suitable for use when cleaning soft top roofs and other fabric areas.